Communication is two-way. It requires a speaker and a listener. Everyone who speaks doesn’t always listen, however. The result is frustration on the speaker’s part, and misunderstanding on the listener’s. To avoid this, people should question their listening skills. There may be room for improvement in this vital area of communication. To be fair, listening can be hard work. A speaker may be boring, or talking about a subject of no interest. There’s also a further issue to contend with. People can talk at a rate of 125 – 145 words a minute, but can think at rates as high as 500 words a minute. As a result, a listener has to put the brakes on his or her thinking process when someone’s speaking. If not, thoughts running through a listener’s mind easily cause distractions. Every speaker faces this problem with his or her listeners. It also explains why listening is more of a chore than speaking. 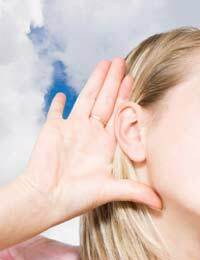 Everyone therefore has to make an effort to develop and retain listening skills. Active listening skills help a listener pay attention. These skills rely on a series of techniques. If someone is about to speak, for instance, the first thing to do is ensure the environment is right. At home, a listener should turn down or switch off the television or music centre. At work, a listener should divert the phone to another extension. Body language also plays a role. A listener should be in an attentive position, and not slumped in a chair, facing away from the speaker. Once a speaker starts, a listener should then stay alert by keeping eye contact with the speaker; nodding at various points; and asking brief questions for clarification as necessary. What a listener shouldn’t do, however, is interrupt a speaker with comments and advice. Most people have a tendency to respond to what a speaker is saying with thoughts of their own. Furthermore, because of outside pressures, the moment someone begins speaking, a listener is often looking for ways to end the conversation. A listener can therefore be too quick to give advice or pass comments to a speaker. What’s more, such interruptions may not even relate to what the speaker is saying. It isn’t easy, but for communication to be effective, a listener must keep an open mind and withhold comments and advice – at least until a speaker has finished. Even then, a listener must base a response on an understanding of what a speaker has been talking about. This requires a listener to show empathy with a speaker’s situation. Put another way, a listener should treat a speaker with the respect he or she would like to receive. Watching listeners is a good way of developing such skills. For example, speakers should ask themselves what annoys them about their listeners. Is it the way they give unwanted advice, or their evident restlessness? By the same token, speakers should establish why they feel satisfied after talking to someone. Is it because the person addressed actually listened? If so, how did this listening manifest itself? Did the listener use the techniques described here? The answers to these questions provide practical insights. Everyone can then contribute to effective communication by listening as well as talking.